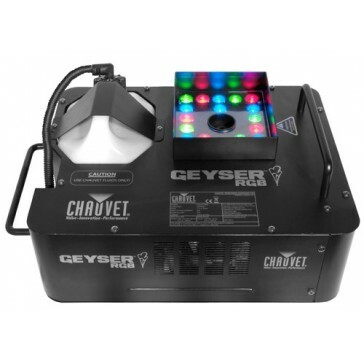 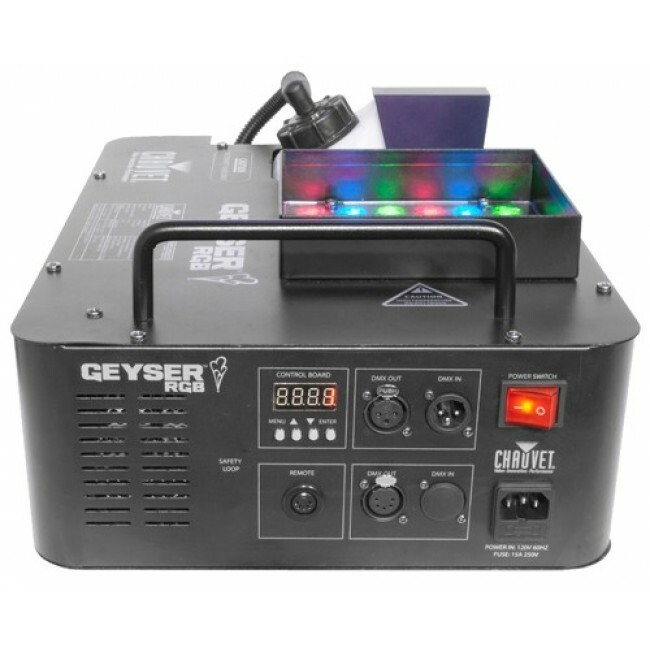 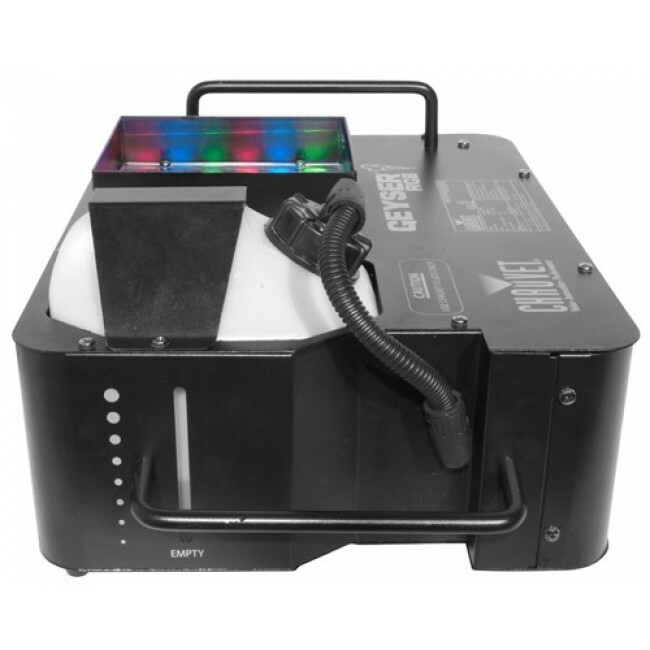 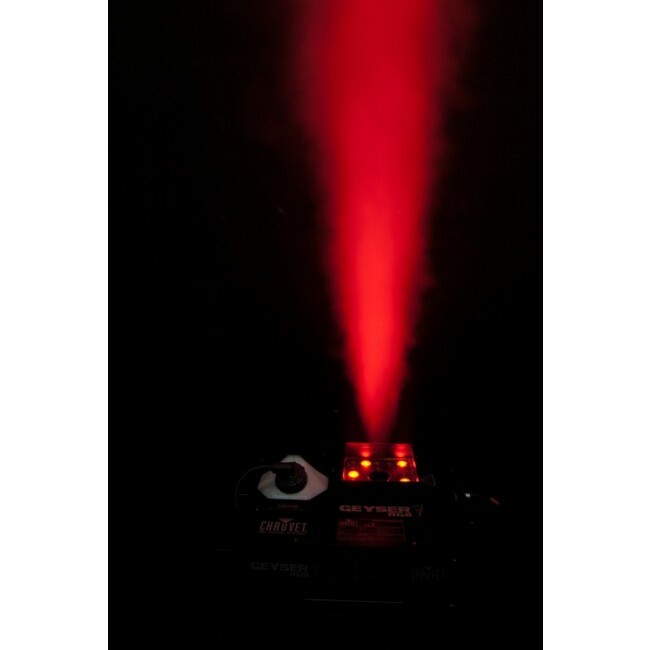 The Chauvet DJ Geyser is a 1500W smoke machine with a twist. 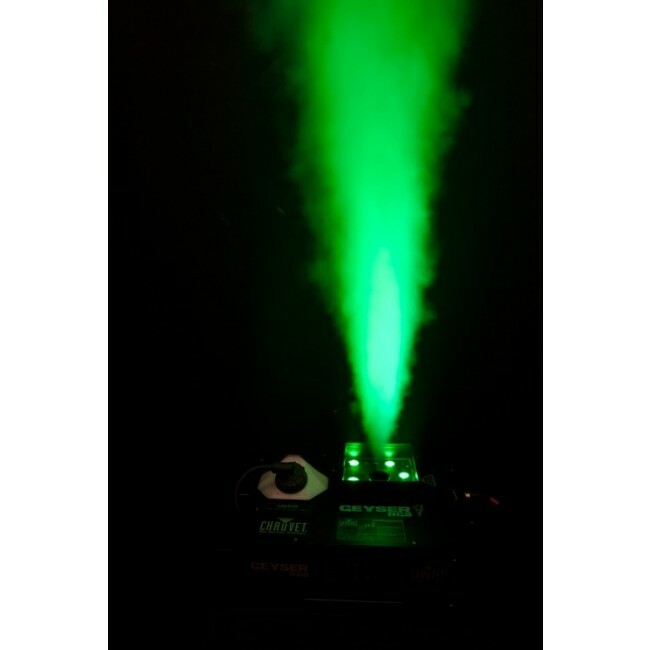 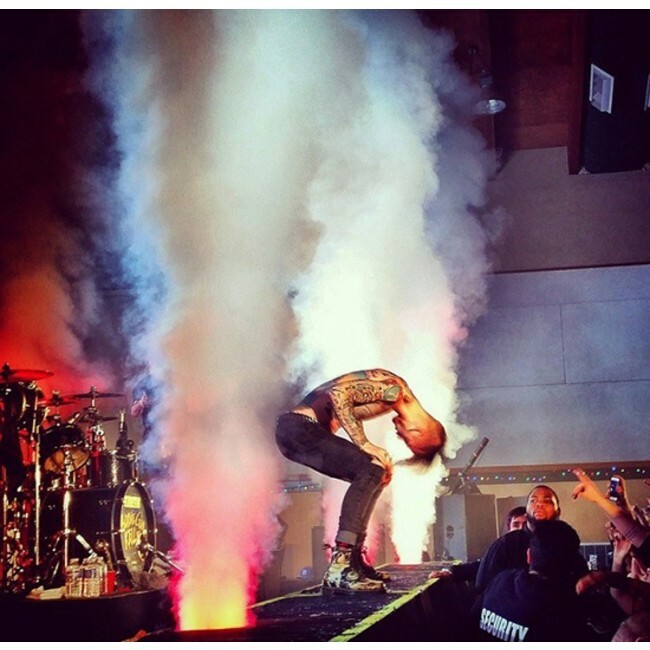 This unique style fog machine allows you to colour the fog! 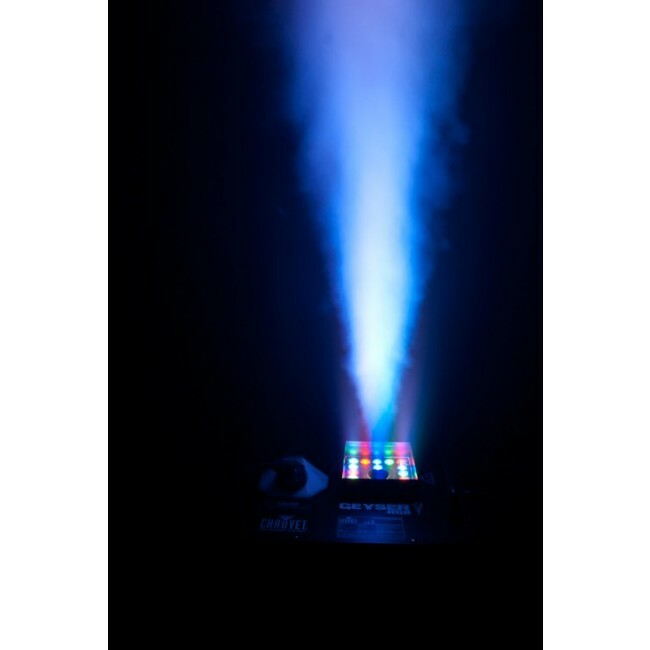 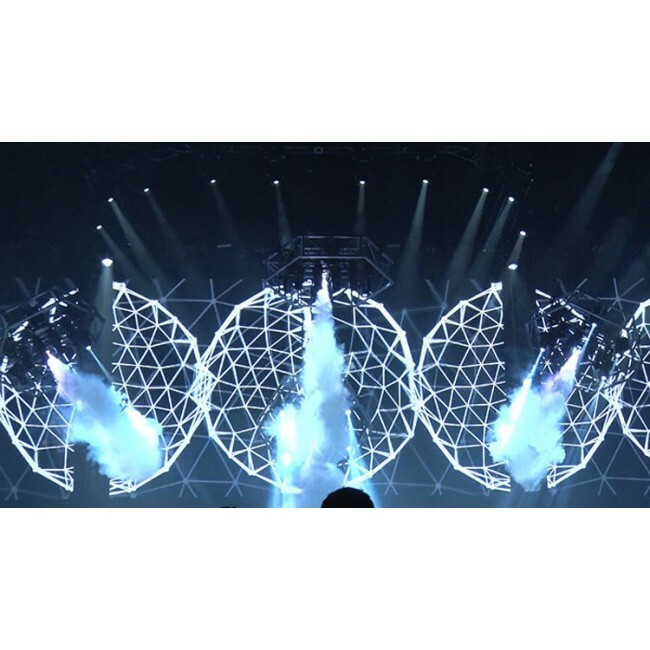 Create pillars of colour that can be used in a number of stage and theatrical applications, as well as an effect for mobile DJs.